Help! My chakras are blocked! 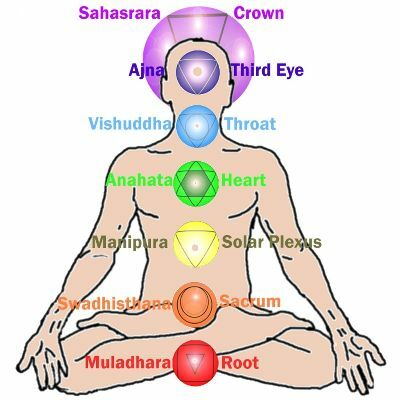 I went for an Indian head massage, and the healer told me my chakras are blocked. He says I need to speak my truth. I hate it when people tell me stuff like that because there isn’t anything I can do about it, or if there is something, I don’t know what it is! I think I do speak my truth! To me that just sounds like a cliché. Are my chakras blocked? Is there anything I can do? Dearest one, we understand your frustration! There is a great deal of confusion about the energy centres that you call ‘chakras’, and the way in which they operate and the ways that you can be affected by their behaviour! Perhaps we can assist, by shedding a little light on the subject? To begin with, it is true that your bodies and minds, and of course your emotions are all being affected continually by the movement of energy throughout your systems. You can easily become aware of this when you are really feeling good, when you feel truly vibrant, energetic and alive, and when you feel totally ‘in the flow.’ You have experienced this feeling, many times. This is true. I know that feeling. I am not really feeling it at the moment. I have a cold, and I feel down. I feel frustrated and tired and pessimistic. But I do remember feeling that way! Indeed. Perhaps as you focus on these feelings, you can become aware of whereabouts in your body you feel them? It seems to be always in my chest that I feel everything the most. Also I feel it very much in my jaw, I have a habit of tensing my jaw and clenching my teeth when I am angry or frustrated or stressed. And perhaps you have also noticed whereabouts in your body you are more prone to feeling physically unwell? I seem to have been constipated all my life! That is one recurring problem. Of course, the healers all tell me I am holding on to something that I must let go of, and of course I have no idea what that is, so it only goes away occasionally and then it comes back. The tension in my jaw is a recurring problem, and there is tension in my neck and shoulders. Apart from that, I am pretty healthy. And which chakras, might we enquire, are the ones that you were told are blocked? The throat chakra and the second chakra! Okay. So it is true, they must be blocked? Blocked is rather a strong word! We would not say blocked. We would say that perhaps the energy does not always flow as freely in these areas as it does in others. But what is more important is to assist you in the ‘unblocking’! Don’t you agree? Yes. Can you help with that? Of course! You say that there have been times in your life when you have felt your energy flowing freely, when you have felt vibrant and energetic and joyful? Can you describe to us what was happening at these times? What is it, do you think, that allows you to feel this way? That is easy. I feel that way mostly when I am on holidays. When I am out of doors, doing something lovely like swimming or kayaking or yoga or just lying on the beach, and when it is sunny and I don’t have anything to worry about and there are other people in charge of stuff like cooking and cleaning! Excellent! Are there any other situations in your life when you tend to feel this way? I suppose I feel that way when I am in a yoga class that I am enjoying, or when I am running or hiking quite a lot of the time. Also, when I am in my sister’s hot tub, which is amazing. And sometimes I feel that way when I am channelling. In fact, I feel pretty good when I am channelling. And when things seem to be going well, generally. When nice things happen! Is there a theme that you notice, in these situations? I notice that when I am relaxed and enjoying myself, I feel good! But isn’t that completely obvious? Hardly rocket science? Perhaps it is obvious! Perhaps it is not complicated at all. Do you notice any change in your physical symptoms when you feel this way? Yes. When I am having a great time and feeling relaxed, all of the symptoms go away. I lose all the tension, and I go to the loo! I suppose that is bloody obvious too! Yes. You can see that this business of blocked chakras is not complicated at all! But what we have noticed is that when people think about symptoms of any kind, whether they be physical symptoms such as tension or energetic symptoms such as ‘blocked’ chakras, the tendency is to focus all of the attention on the symptoms and no attention on what it is like to be free of them. In these situations, we find that it is most helpful to think of situations in which you do feel the free flow of energy, and then to think of ways in which you can create these situations for yourself in your daily life. What might you be doing today, if you were on a ‘holiday’? And have you ever thought about what it actually means, this word ‘holiday’? You guys are amazing! I see where you are going with this. A holiday is a holy day. And a holy day is what, do you think? Ha ha! A holy day is one where you remember the Divine and get in touch with it. Indeed. What else does the word ‘holiday’ mean to you? It means an opportunity to relax. To enjoy life. To have fun. And is there any reason why you should not relax and have fun every day? Why every day should not be a holiday or even a holy day? You got me! I suppose I am programmed to think that ordinary days are for working and doing stuff you don’t really want to do, and for being stressed and uptight and then holidays are for relaxing. But of course that does not have to be true. This is fun, writing this. And it is relaxing. Even if it also qualifies as work. And if I put my mind to it, I am sure I can think of other things to do that are fun and relaxing. And how do you feel now, about your blocked chakras? I almost feel grateful for them! If I hadn’t been worried about blocked chakras, we may never have had this conversation! Lovely advice Victoria. Always intelligent and waffle free! i had cancer in the bladder. i have jist had it removed. i heard tnat the bottom chakra; root is your relationship with yr mother. is that true? I dont actually know, I understand it is related to all of your connections with material things, but not specifically the mother. I think it could be an individual thing, dont you? Have you been in therapy?